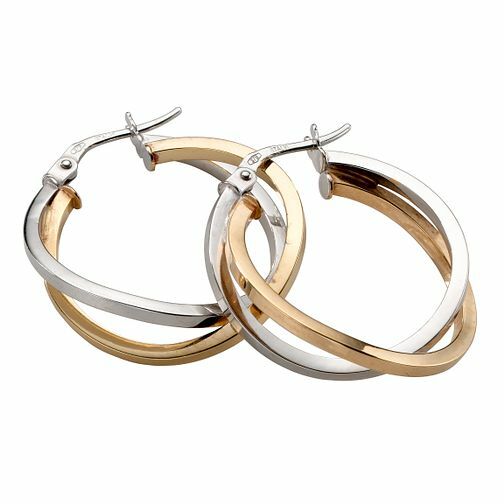 These stylish Creole earrings feature a two-colour double hoop of 9ct gold. A unique twist on the classic hoop earrings. Pretty and stylish earrings for everyday elegance. 9ct gold two-colour double hoop creole earrings is rated 5.0 out of 5 by 1. Rated 5 out of 5 by Anonymous from Beautiful earrings! Very pleased with this purchase, they look great. Just what I wanted and would highly recommend them to anyone!